A huge welcome to Titan Hog Roast Machines. If you’re interested in finding out more about a premium brand in hog roasting machines, you’ve come to the right place! We have a wealth of experience in hog roasting and all the knowledge you’ll need to assist you in finding the right roasting machine for your business or occasion. In total we have 20 plus years in hog roasting, so we know what a machine requires to provide delicious results with ease. Titan Hog Roasting Machines are made to the highest standards and can be purchased to include everything you need for hog roasting, BBQs and chicken spits. All our roasting knowledge has been put to good use when designing our machines, ensuring your roasting experience is effortless. Titan machines are not only designed to provide a perfectly cooked product, but they have been created for ease-of-use whatever the event. They feature 4 pneumatic tyres, an effective steering system ideal for pulling across grass, and are slim enough to fit through a standard doorway. The cooking features aren’t everything though. The visual design of Titan roasting machines is also crucial. 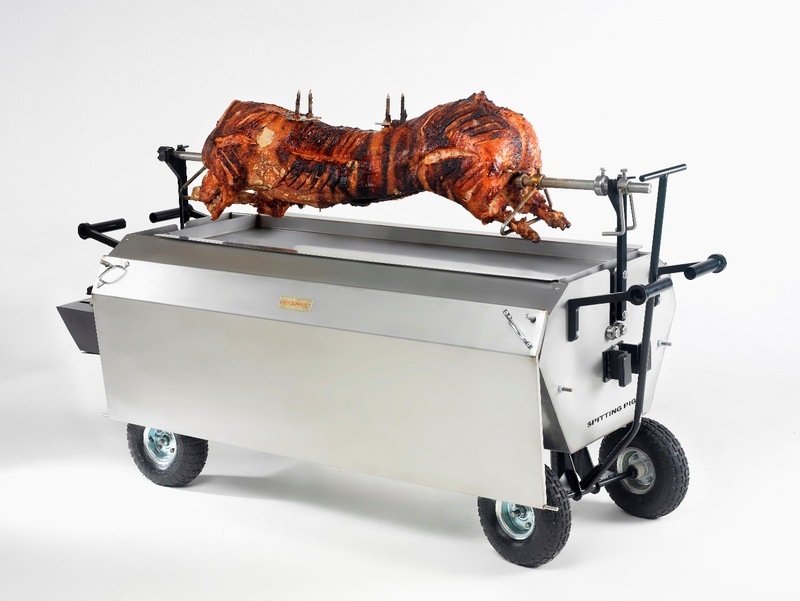 We know that the presentation of a hog roast is hugely important to events caterers, so all our machines have a sharp and sophisticated. Each of our Titan machines features 2 stainless steel doors, a glass viewing panel and of course the central pole on which a pig can be mounted for roasting. The spit can be turned by motor or hand to vary speed to suit cooking results and drama. There’s plenty of room to carve up the meat right onto the machine too. As the name would suggest, our Titan machines have an exceptional reputation. The stainless steel spit pole is solid rather than hollow which allows for a larger loading weight for the biggest pigs. For outdoor events the Titan comes with a unique wind breaking lid and the wheels can be removed for ease of storage inside the BBQ itself. 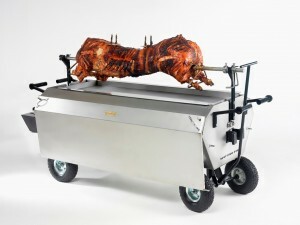 Durable, smart and versatile, the Titan hog roasting machine really has it all and is proving a hit with professional caterers across the UK.